Glarg. I am congested beyond all comprehension. My second bunch of OPI Brazil swatches is ready, but I don't have the brain power to write a coherent review right now. 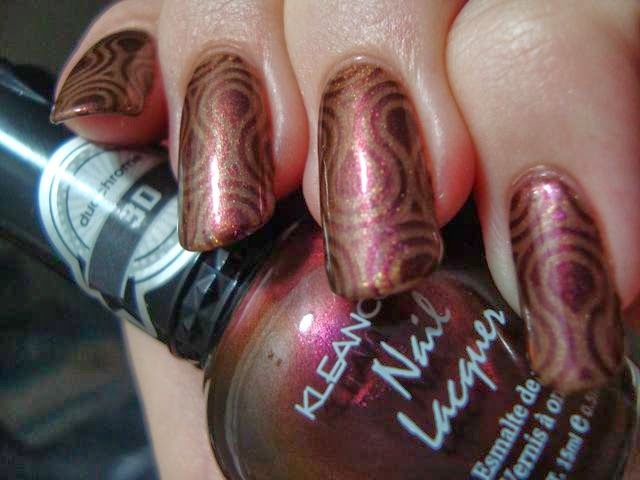 Instead, because I'm a blogging masochist and I feel compelled to post at least most of the week, have this evolving nail thing. 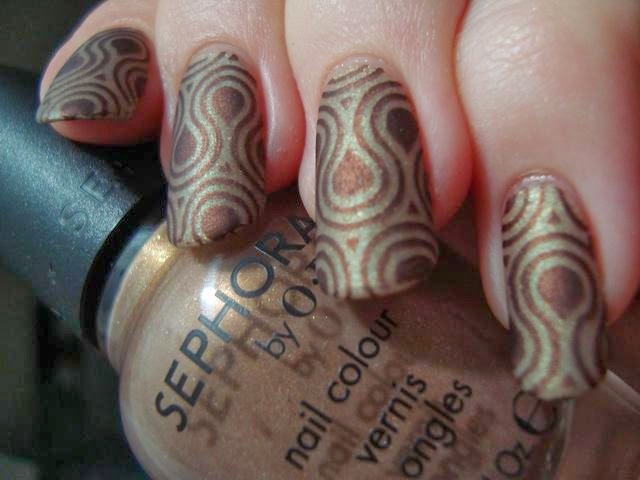 I started off on Sunday with Sephora by OPI I Only Shop Vintage. 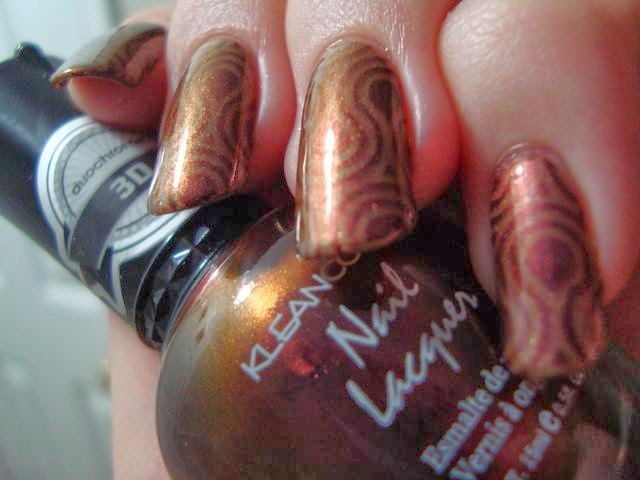 Because Monday was St. Patrick's Day, I added a hint of green with KleanColor Forest Fairy. 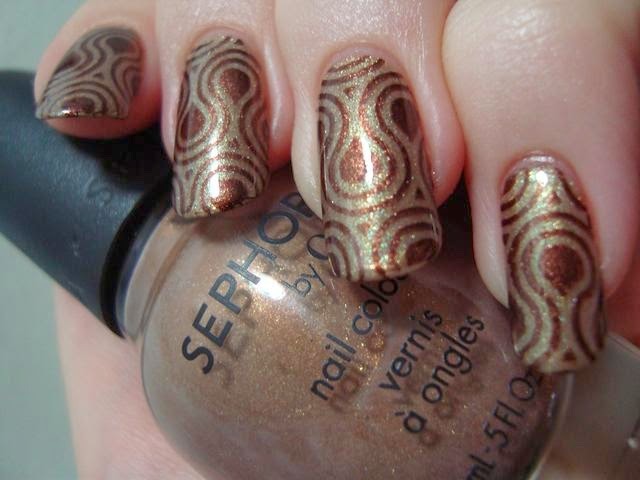 On Wednesday, when this cold started up, I was getting very bored with my nails and wanted a change of some kind. 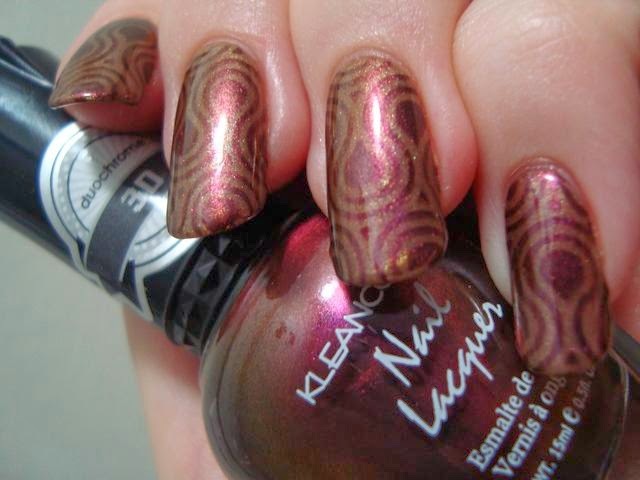 I stamped a retro design with KleanColor Metallic Brown and MoYou London's Back To The 70's - 02 plate. 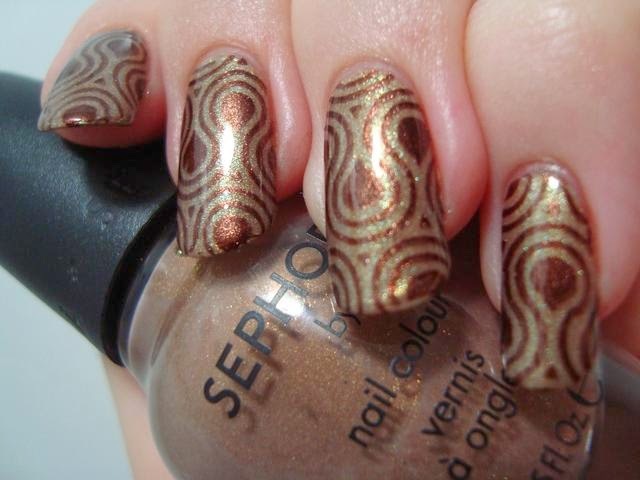 I had originally wanted something greener for the stamping, but none of my greenish browns or bronzes stamped as well as Metallic Brown. 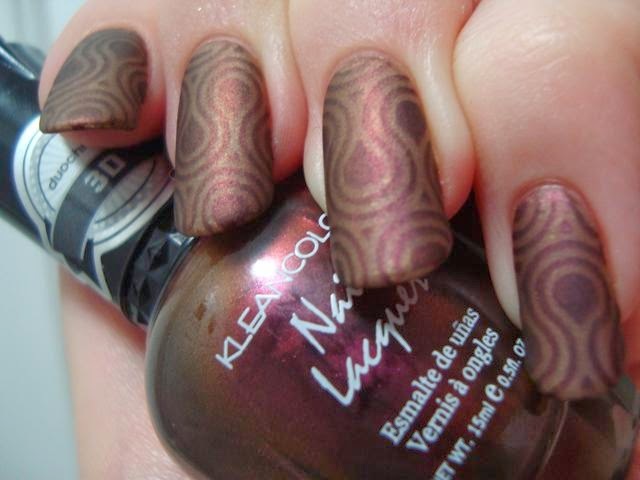 It almost looks like woodgrain this way. Next, I changed it up a little with a coat of KleanColor Flirty/Innocent. 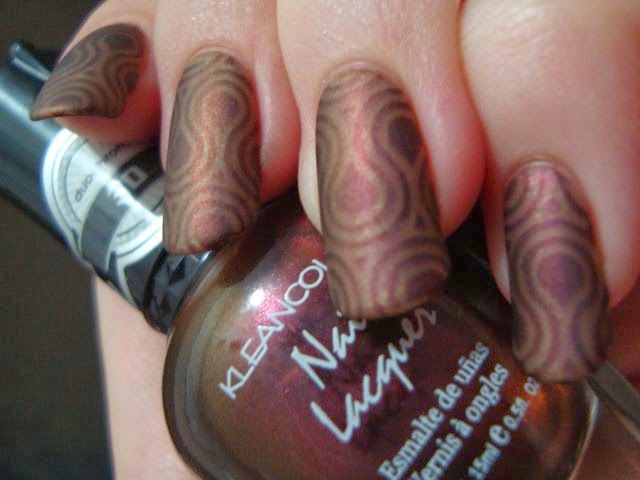 It's another of the 3D Duochromes. I liked those three so much that I went back for the other three. I mattified this update too, of course. The shift was slightly more obvious this way. 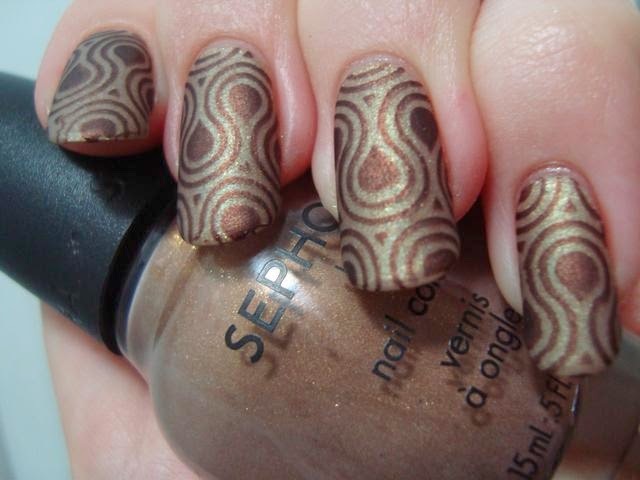 It looks like 70's kitchen curtains...and I love it. Hopefully this is just a bad cold and I'll be back to frenzied swatching again next week. For now, I just wanna go back to bed!